Three Philadelphia commercial real estate investors have quietly purchased buildings in the Philly office space market in Center City’s east end, investing over $300 million in what they believe will be the next hot market in Philadelphia, according to the Philadelphia Business Journal. Keystone Property Group and Mack-Cali Realty Corp., which acquired the Curtis Center this week, have together invested just over $210 million in two buildings in the Philadelphia office space market’s Independence Square submarket in under a year, the newspaper said. Keystone and Mack-Cali have focused their interests on the Market Street East area of the Philly office space market, according to the Journal. Another transaction involving office space in Philly in the CenterCity east end came with Keystone and Mack-Cali’s recent acquisition of the Dow building at 6th and Market street, just a short distance from the CurtisCenter. The $20 million renovation of that building will include a beer garden slated to open soon. Brickstone Realty Cos., owner of the Lits Building, also has been growing its portfolio of buildings in the same area, investing $105 million along the 1100 block of Chestnut Street in the Philadelphia office space market, the newspaper reported. The company now owns 1112-1128 Chestnut Street and has a 192-square-foot redevelopment project underway that will feature 95,000 square feet of retail space and 112 apartments. Brickstone also is looking at acquiring other mixed use and office space in Philadelphia and currently has three buildings on Chestnut Street or 11th Street under agreement, according to the Journal. Plans call for that space to be converted into loft apartments, creative office space and co-working space, adding an unknown amount of square footage to existing office space in Philly. 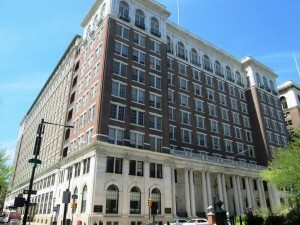 Keystone and Mack-Cali, which paid $125 million for the historic Curtis Building, will invest another $25 million to transform the building into a mixed-used complex with 90,000 square feet of office space in Philadelphia, as well as 90 upscale apartment units and a restaurant with outdoor dining, both overlooking Independence National Historic Park and Washington Square Park. The company said more apartments might be added once existing office leases roll over and only a small portion of Philadelphia office space might be kept in the long term. Other Philadelphia commercial real estate investors also are showing increased interest in CenterCity’s east end. In March 2014, a partnership sponsored by Rubenstein Partners purchased the 850,000-square-foot Penn Mutual Towers for an undisclosed amount. Penn Mutual Towers — actually three buildings that overlook Independence Mall and Washington Square — will be modernized to create high-quality Philadelphia office space. The purchase was the company’s first investment in the Philly office space market in years, an apparent sign of their confidence in the Center City east end submarket. For more information about office space in Philly or any Philadelphia commercial properties, please call 215-799-6900 to speak with Jason Wolf (jason.wolf@wolfcre.com) at Wolf Commercial Real Estate, a premier Philadelphia commercial real estate brokerage firm that specializes in office space in Philadelphia. Wolf Commercial Real Estate, a Philadelphia commercial real estate broker that specializes in Philadelphia commercial real estate listings, provides unparalleled expertise in matching companies and individuals seeking new Philadelphia office space with the Philadelphia commercial properties that best meets their needs. As experts in Philadelphia commercial real estate listings and services, the team at our Philadelphia commercial real estate brokerage firm provides ongoing detailed information about Philadelphia commercial properties to our clients and prospects to help them achieve their real estate goals. If you are looking for Philly office space for sale or lease, Wolf Commercial Real Estate is the Philadelphia commercial real estate broker you need — a strategic partner who is fully invested in your long-term growth and success. The Philly office space market saw the completion of five new office buildings totaling 131,624 square feet in the first quarter of 2014, according to a new market trend report just released by the CoStar Group. In comparison, deliveries in the Philadelphia office space market in the fourth quarter 2013 totaled 457,209 square feet in eight buildings. CoStar’s First Quarter 2014 Market Report also noted that there was 1,194,598 square feet of office space in Philadelphia under construction at the end of the first quarter 2014. CoStar said notable deliveries of office space in Philly in 2014 include: 1401 Roosevelt Avenue, a 60,000-square-foot facility that delivered in first quarter 2014 and is now fully occupied, and 3069 English Creek Avenue, a 40,000-square-foot building that delivered in first quarter 2014 and is currently not occupied. In addition, the report noted that the largest projects underway in the Philadelphia office space market at the end of first quarter 2014 were 3737 Market Street, a 340,000-square-foot building with 74% of its space pre-leased, and 2006 Route 130 N, a 215,100-square-foot facility that is 100% pre-leased. At the end of the first quarter 2014, total Philly office space inventory in the Philadelphia office space market area totaled 734,635 square feet in 20,694 buildings, CoStar said. The Class-A office sector amounted to 128,911,199 square feet of office space in Philadelphia in 955 projects, according to the report. Within the Philly office space market, owner-occupied buildings stood at a total of 916, representing 35,288,471 square feet of office space in Philly, the report said. Compared to the trends in office space in Philadelphia in the first quarter 2014, the U.S. national office market had 321 buildings totaling 16.1 million square feet complete construction in the quarter, CoStar said. An additional 90.1 million square feet of office space was still under construction at the end of the first quarter, the report noted. In the Boston market, 50 Northern Avenue, a 550,000-square-foot facility delivered in the first quarter, and in New York City, the 3.04 million-square-foot OneWorldTradeCenter remained under construction. At the end of the first quarter 2014, the national market had almost 10.4 billion square feet of total office inventory in more than 499,500 buildings, according to CoStar. This included approximately 20,000 owner-occupied buildings with 884.5 million square feet of office space. For more information about office space in Philly or any Philadelphia commercial properties, please call 215-799-6900 to speak with Jason Wolf (jason.wolf@wolfcre.com) at Wolf Commercial Real Estate, a leading Philadelphia commercial real estate broker that specializes in office space in Philadelphia. Wolf Commercial Real Estate, a Philadelphia commercial real estate broker that specializes in Philadelphia commercial real estate listings, provides unparalleled expertise in matching companies and individuals seeking new Philly office space with the Philadelphia commercial properties that best meets their needs. As experts in Philadelphia commercial real estate listings and services, the team at our Philadelphia commercial real estate brokerage firm provides ongoing detailed information about Philadelphia commercial properties to our clients and prospects to help them achieve their real estate goals. If you are looking for Philadelphia office space for sale or lease, Wolf Commercial Real Estate is the Philadelphia commercial real estate broker you need — a strategic partner who is fully invested in your long-term growth and success. The vacancy rate for the Philly office space market increased in the first quarter 2014, ending the quarter with a Philadelphia office space vacancy rate of 11.2% , according to a new market trend report from the CoStar Group. The vacancy rate rose over the previous quarter, the report said, with net absorption totaling negative 324,914 square feet of office space in Philadelphia in the first quarter 2014. In comparison, net absorption equaled positive 1,217,600 square feet of office space in Philly in the fourth quarter 2013, according to CoStar’s First Quarter 2014 Market Report. Co-Star also reported that vacant sublease space in the Philadelphia office space market increased in the first quarter, ending at 1,368,152 square feet. According to the report, tenants moving into large blocks of space in 2014 include: The Harrisburg University of Science & Technology, moving into 149,820 square feet of office space in Philadelphia at 326 Market Street; Beneficial Mutual Bancorp, Inc. moving into 95,764 square feet of office space in Philly at 1818 Beneficial Bank Place; and BioTelemetry, Inc. moving into 46,972 square feet of Philly office space at 1000 N Cedar Hollow Road. A total of five buildings delivered to the Philadelphia office space market in the quarter, Co-Star reported. Those five building totaled 131,624 square feet of office space in Philadelphia, the report said. Another 1,194,598 square feet of office space in Philly was still under construction at the end of the first quarter 2014, according to the report. In comparison to the quarterly results in the Philly office space market, the U.S. National Office vacancy rate dropped to 11.5% from the fourth quarter 2013, CoStar said, with net absorption totaling positive 21.68 million square feet in the first quarter. Average rental rates nationally increased to $22.17, and 321 buildings delivered to the market totaling more than 15.1 million square feet, CoStar reported. For more information about office space in Philly or any Philadelphia commercial properties, please call 215-799-6900 to speak with Jason Wolf (jason.wolf@wolfcre.com) at Wolf Commercial Real Estate, a premier Philadelphia commercial real estate broker that specializes in Philly office space. Wolf Commercial Real Estate, a Philadelphia commercial real estate broker that specializes in Philadelphia commercial real estate listings and services, provides unparalleled expertise in matching companies and individuals seeking new Philadelphia office space with the Philadelphia commercial properties that best meets their needs. As experts in Philadelphia commercial real estate listings and services, the team at our Philadelphia commercial real estate brokerage firm provides ongoing detailed information about Philadelphia commercial properties to our clients and prospects to help them achieve their real estate goals. If you are looking for office space in Philadelphia for sale or lease, Wolf Commercial Real Estate is the Philadelphia commercial real estate broker you need — a strategic partner who is fully invested in your long-term growth and success. The select top office lease signed during the fourth quarter 2013 in the Philly office space market was at 1801 Augustine Cut-Off in the North New Castle County submarket, according to a market trend report from the CoStar Group. The landlord for this 190,823-square-foot deal in the Philadelphia office space market was represented by Capano Management, the report said. Other major office leases signed in the quarter include a 70,110-square-foot office lease signed in the Conshohocken Ridge Corporate Center in the Philly office space market’s Conshohocken submarket, according to CoStar’s Fourth Quarter 2013 Market Report. Exeter Property Group represented the landlord in this deal for office space in Philadelphia. In addition, CSC renewed its lease for 36,616 square feet at 8000 Lincoln Drive East in the Philadelphia office space market’s South Burlington County submarket, the report said. The landlord for this contract for office space in Philly was represented by Tequesta Properties, Inc. In the Market Street West submarket for office space in Philadelphia, the District 1199C Training & Upgrading Fund renewed its lease for 31,307 square feet in the Land Title Building, CoStar said. The landlord was represented by MS Fox Real Estate Group, Inc., according to the report. Also in the Market Street West submarket for office space in Philadelphia, Brandywine Realty Trust represented the landlord and Jones Lang LaSalle represented the tenant in Pepper Hamilton LLP’s renewal of its 230,560-square-foot lease at Two Logan Square. This deal for office space in Philly was signed in the third quarter 2013, according to the CoStar report. In comparison to the fourth quarter 2013 results from the Philadelphia office space market, the largest new office lease signings that occurred nationally in the same quarter include the lease for 515,457 square feet signed by Group M Worldwide at 3 World Trade Center in the New York City market; CME Group, Inc.’s lease for 449,000 square feet at the World Finance Center – NYMEX building; Valean Pharmaceuticals International, Inc.’s 310,000-square-foot lease in the Northern New Jersey market; Cogo, Inc.’s lease of 234,484 square feet and Zebra Technologies Corp.’s lease for 233,286 square feet, both in the Chicago market, according to the CoStar report. The Philly office space market grew by 374,040 square feet in the fourth quarter 2013 with the completion of five office buildings in the Philadelphia market area, according to a new market trend report from the CoStar Group. In comparison, four buildings totaling 24,500 square feet of Philadelphia office space were completed in the third quarter 2013, according to CoStar’s Fourth Quarter 2013 Market Report. There were 797,349 square feet of office space in Philly under construction at the end of the fourth quarter 2013, the report said. Significant deliveries of office space in Philadelphia in 2013 include: Endo Pharmaceuticals, a 300,000-square-foot facility that delivered in first quarter 2013 and Five Crescent Drive, a 207,779-square-foot building that delivered in first quarter 2013, according to the report. The largest projects underway in the Philly office space market at the end of fourth quarter 2013 were 3737 Market Street, a 340,000-square-foot building and Great Valley Corporate Center, a 205,836-square-foot facility that is 100% pre-leased, CoStar reported. Total Philadelphia office space inventory in the Philly office space market area was 400,032,971 square feet in 20,506 buildings as of the end of the fourth quarter 2013. The Class-A office sector was represented by 128,600,713 square feet of office space in Philadelphia in 950 projects, CoStar said. Owner-occupied buildings in the Philadelphia office space market totaled 910 and accounted for 35,631,708 square feet of office space in Philly, the report noted. In comparison to the fourth quarter 2013 results from the Philadelphia office space market, there were 177 buildings totaling 11.7 million square feet completed in the U.S. national office market with another 86.9 million square feet of office space remaining under construction at the end of the fourth quarter 2013. In New York City, the report noted that 4 World Trade Center, a 2.85 million-square-foot facility, delivered in 2013, but the 3.04 million-square-foot One World Trade Center is still under construction. CoStar said total office inventory in the U.S. market was 10.37 billion square feet in almost 498,000 buildings at the end of the fourth quarter 2013. This includes almost 20,000 owner-occupied buildings accounting for 884.5 million square feet, according to the report. For more information about office space in Philly or any Philadelphia commercial properties, please call 215-799-6900 to speak with Jason Wolf (jason.wolf@wolfcre.com) at Wolf Commercial Real Estate, a leading Philadelphia commercial real estate brokerage firm that specializes in office space in Philadelphia. Wolf Commercial Real Estate, a Philadelphia commercial real estate brokerage firm that specializes in Philadelphia commercial real estate listings, provides unparalleled expertise in matching companies and individuals seeking new Philly office space with the Philadelphia commercial properties that best meets their needs. As experts in Philadelphia commercial real estate listings and services, the team at our Philadelphia commercial real estate brokerage firm provides ongoing detailed information about Philadelphia commercial properties to our clients and prospects to help them achieve their real estate goals. If you are looking for Philadelphia office space for sale or lease, Wolf Commercial Real Estate is the Philadelphia commercial real estate broker you need — a strategic partner who is fully invested in your long-term growth and success. The Philly office space vacancy rate declined in the fourth quarter 2013, ending the quarter with a Philadelphia office space vacancy rate of 11.2%, according to a new market trend report from the CoStar Group. 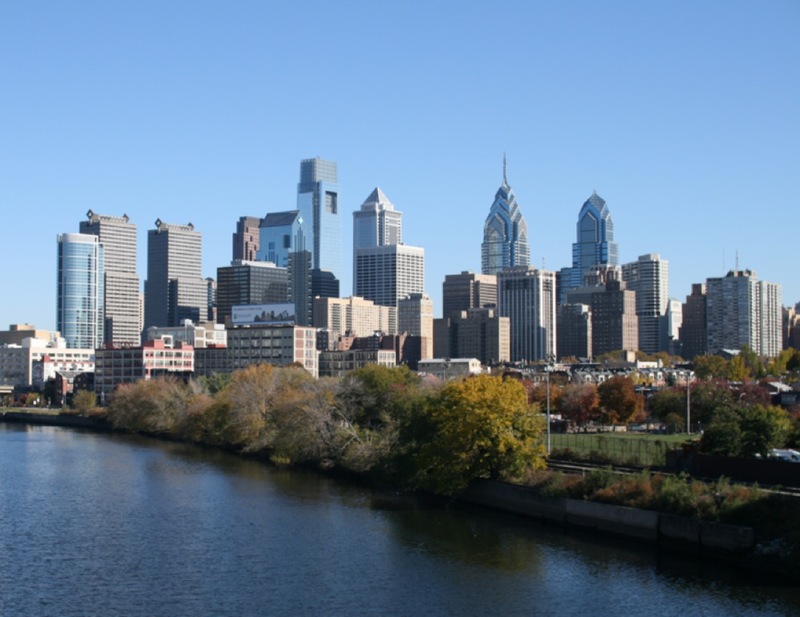 The vacancy rate for office space in Philadelphia was down over the previous quarter, the report said, with net absorption totaling positive 1,209,045 square feet in the fourth quarter compared to positive 93,523 square feet in the third quarter 2013. Vacant sublease space in the Philly office space market increased in the fourth quarter, ending at 1,265,856 square feet, according to CoStar’s Fourth Quarter 2013 Market Report. Costar noted that among the tenants moving into large blocks of office space in Philly last year were GlaxoSmithKline, moving into 205,000 square feet at Five Crescent Drive; DrexelUniversity, moving into 117,464 square feet at Three Parkway; and Comcast, moving into 110,000 square feet at 2801 Valley Road. Rental rates for office space in Philly increased over the previous quarter, ending the fourth quarter 2013 at $21.10, CoStar reported. In all, five buildings were delivered to the Philadelphia office space market in the quarter, totaling 374,040 square feet, with another 797,349 square feet under construction by quarter’s end, CoStar said. In comparison to the quarterly results in the Philly office space market, the U.S. National Office vacancy rate decreased to 11.5% from the previous quarter, CoStar said, with net absorption totaling positive 25.62 million square feet in the fourth quarter. Average rental rates nationally increased to $22.06, and 177 buildings delivered to the market totaling more than 11.7 million square feet, according to CoStar. For more information about office space in Philadelphia or any Philadelphia commercial properties, please contact Jason Wolf (215-799-6900-office; 215-588-8800-cell; jason.wolf@wolfcre.com) at Wolf Commercial Real Estate, a premier Philadelphia commercial real estate broker that specializes in office space in Philadelphia. Three new Philadelphia office buildings were completed in the third quarter 2013, introducing a total of 61,700 square feet of new Philly office space to the market, according to a new market trend report from the Costar Group. In comparison, three Philadelphia office buildings totaling 33,100 square feet were completed in the second quarter 2013, eight buildings totaling 726,360 square feet in the first quarter 2013, and six buildings totaling 276,492 square feet in the fourth quarter 2012, according to CoStar’s Third Quarter 2013 Market Report. Another 791,386 square feet of office space in Philadelphia was under construction at the end of the third quarter 2013, CoStar said. The notable new Philadelphia office space delivered in 2013 includes Endo Pharmaceuticals, a 300,000-square-foot facility that delivered in first quarter 2013 and is fully occupied, and Five Crescent Drive, a 207,779-square-foot building that delivered in first quarter 2013 and is also is now 100% occupied, according to the report. The largest projects underway at the end of the third quarter 2013 were 3737 Market Street, a 272,700-square-foot building and CrossPoint at Valley Forge, which will add 272,109 square feet of Philly office space to the market. Total Philadelphia office space inventory equaled 396,322,067 square feet in 20,316 buildings as of the end of the third quarter 2013. 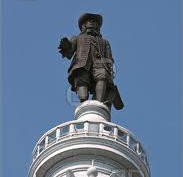 The Class-A office sector of office space in Philadelphia consisted of 127,191,204 square feet in 948 projects. Within the Philly office space market there were 900 owner-occupied Philadelphia office buildings accounting for 35,387,640 square feet of Philadelphia office space. This trend is compared to U.S. National Office deliveries and construction, which saw 244 buildings totaling 12.2 million square feet complete construction, with an additional 83.8 million square feet of office space still under construction at the end of the third quarter, CoStar said. A 1.05 million-square-foot facility at 250 W. 55th St. in the New York City market delivered, while the 3.04 million-square-foot OneWorldTradeCenter in New York City is still underway. 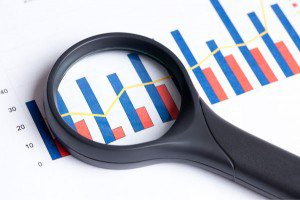 Total office inventory in the U.S. market totaled 10.34 billion square feet in almost 497,000 buildings at the end of the third quarter 2013, including almost 20,000 owner-occupied buildings accounting for 876.2 million square feet, according to the report. For more information about office space in Philadelphia or any Philadelphia commercial properties, please contact Jason Wolf (215-799-6900-office; 215-588-8800-cell; jason.wolf@wolfcre.com) at Wolf Commercial Real Estate, a premier Philadelphia commercial real estate brokerage firm that specializes in office space in Philadelphia. Wolf Commercial Real Estate, a Philadelphia commercial real estate broker that specializes in Philadelphia commercial real estate listings, provides unparalleled expertise in matching companies and individuals seeking new Philadelphia office space with the Philadelphia commercial properties that best meets their needs. As experts in Philadelphia commercial real estate listings and services, the team at our Philadelphia commercial real estate brokerage firm provides ongoing detailed information about Philadelphia commercial properties to our clients and prospects to help them achieve their real estate goals. If you are looking for Philadelphia office space for sale or lease, Wolf Commercial Real Estate is the Philadelphia commercial real estate broker you need — a strategic partner who is fully invested in your long-term growth and success. Vacancies for Philadelphia office properties dropped to 11.5% at the end of the third quarter 2013, a decrease over the previous quarter, according to a new market trend report from the Costar Group. Net absorption in the Philly office space market was positive 193,270 square feet in the third quarter, compared to positive 786,597 square feet in the second quarter 2013. Vacant sublease space in the Philadelphia office space market decreased in the third quarter, ending the quarter at 1,243,897 square feet, CoStar’s Third Quarter 2013 Market Report said. Tenants moving into large blocks of Philly office space in 2013 include Endo Pharmaceuticals, Inc., moving into 300,000 square feet at Atwater Corporate Center; GlaxoSmithKline, moving into 205,000 square feet at Five Crescent Drive; and Drexel University, moving into 117,464 square feet at Three Parkway. Rental rates for Philadelphia office properties ended the third quarter at $21.06, a decrease over the previous quarter, the report said. A total of three buildings delivered to the Philadelphia office space market in the quarter totaling 61,700 square feet, with 791,386 square feet still under construction at the end of the quarter, according to the report. This trend for Philadelphia office properties is compared to the U.S. National Office vacancy rate, which decreased to 11.6% from the previous quarter, with net absorption positive 23.48 million square feet in the third quarter. Average rental rates increased to $21.75, and 244 office buildings delivered to the market totaling more than 12.2 million square feet. For more information about Philadelphia office space or any Philadelphia commercial properties, please contact Jason Wolf (215-799-6900-office; 215-588-8800-cell; jason.wolf@wolfcre.com) at Wolf Commercial Real Estate, a premier Philadelphia commercial real estate brokerage firm that specializes in Philly office space. Wolf Commercial Real Estate, a Philadelphia commercial real estate broker that specializes in Philadelphia commercial real estate listings, provides unparalleled expertise in matching companies and individuals seeking new Philadelphia office space with the Philadelphia commercial properties that best meets their needs. As experts in Philadelphia commercial real estate listings and services, the team at our Philadelphia commercial real estate brokerage firm provides ongoing detailed information about Philadelphia office properties to our clients and prospects to help them achieve their real estate goals. If you are looking for Philadelphia office space for sale or lease, Wolf Commercial Real Estate is the Philadelphia commercial real estate broker you need — a strategic partner who is fully invested in your long-term growth and success.